For the do-it-all dog! 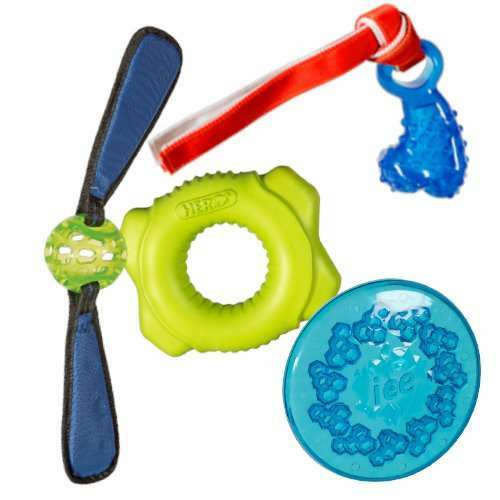 The toys in this pack float, squeak, fly, tug, toss, dispense treats and even freeze! Great for the high energy dog and owner who are always looking for new adventures. The Athlete Pack includes: Floating Foam Ring – This durable yet lightweight foam ring is perfect for dogs who love to play and fetch in the water. Dino Treat Bone – This bone has a pocket to hide treats or spreads in, and a nylon tassel for tossing and throwing. The small nubs on the surface also provide great gum cleaning for your pup! 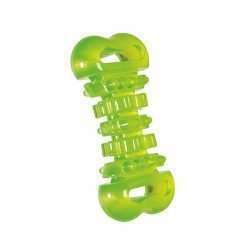 Soft Rubber Bunny Ball – The squeaking nylon flaps on this lightweight ball make it great for tug of war and fetch. 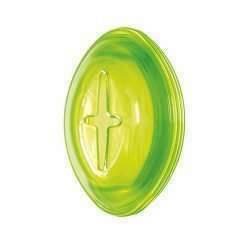 Freezies Flyer – This frisbee has pockets that allow you to freeze spreads or water in them for an extra treat on particularly hot days!